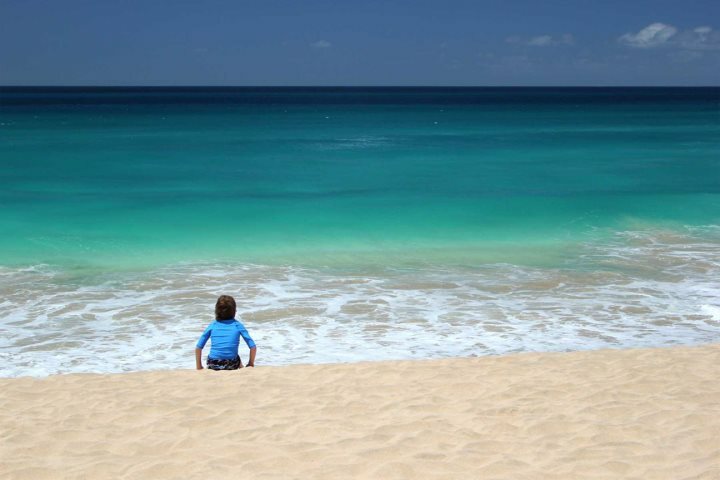 If your holiday dreams include soft white sands and crystalline turquoise water, consider Cape Verde for your next getaway. 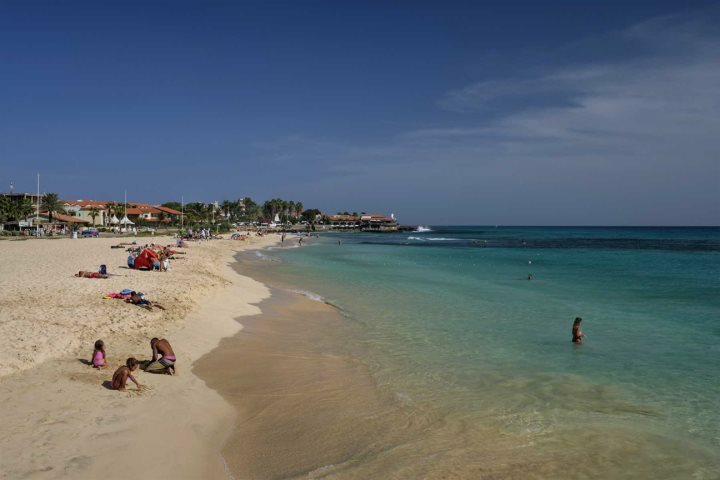 Starting with the most popular beach across the archipelago, Santa Maria Beach is found right at the southernmost tip of Sal and is a long, crescent-shaped bay of soft golden sand with calm, azure waters, ideal for swimming. There’s also a pier close to the town-end of the beach, which comes alive each day with local fishermen bringing in their catch of the day. There’s also a small selection of beachfront restaurants, a number of hotels along the bay and a variety of shops, restaurants and bars in the town, just a couple of minutes’ walk inland from the beach. 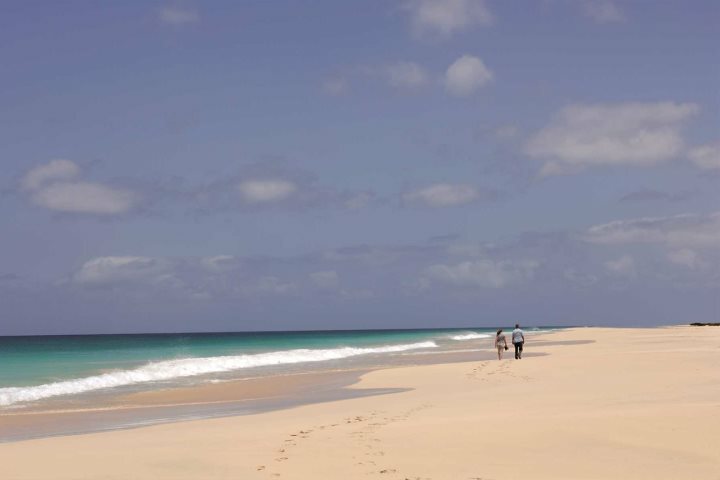 Discover Hotel Morabeza or the new Hilton Cabo Verde Sal Resort, to stay directly along the sands of this beautiful beach. 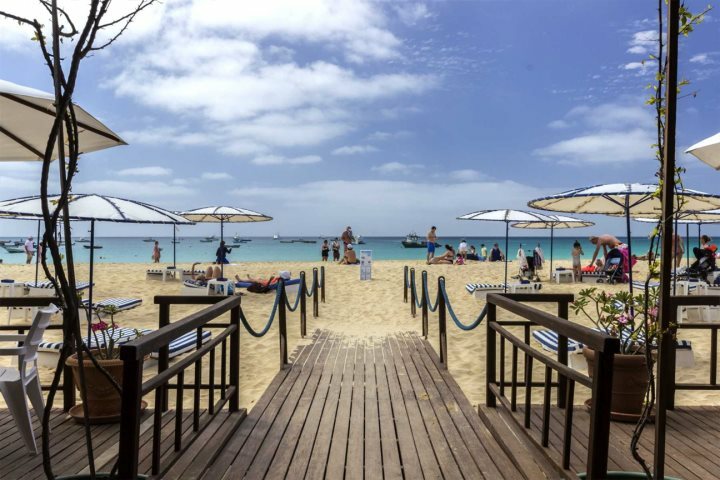 Above: views from Hotel Morabeza's beach bar. 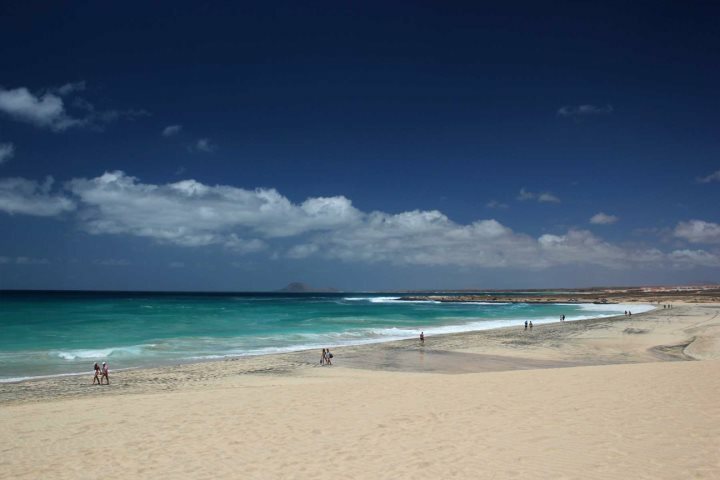 Located on Sal’s south west side, Ponta Preta Beach is similar to Santa Maria with soft sand and turquoise water, however with a more rugged and natural landscape. Backed by barren sand dunes, this is the ideal spot for those in search of tranquillity, with nothing but the sound of the waves and the occasional kitesurfer passing by to break the silence. 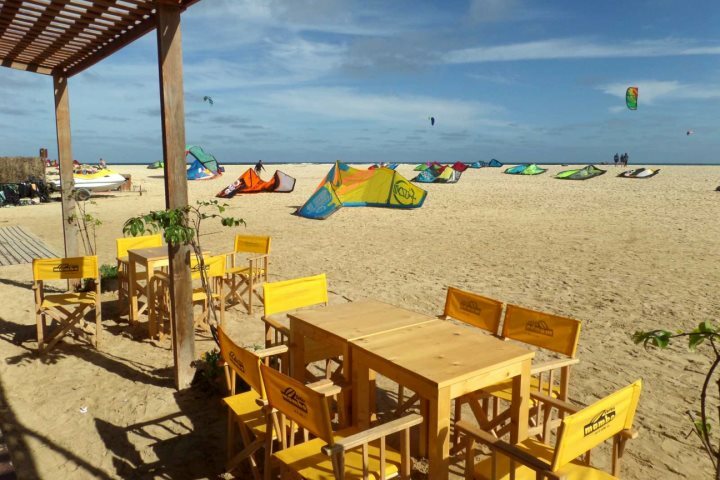 Not a beach for relaxation but instead one for adrenaline-pumping water sports, Kite Beach is the best location on the island for windsurfing, kitesurfing and more. Although still blessed by golden sands, the wind conditions here (particularly between November and March) make it the ideal spot on the south-east coast to try some water sports. We recommend you try the Mitu & Djo Kite School if you want tuition or to hire equipment – run by world champion kitesurfer, Mitu Monteiro, you’re in the best possible hands to practice your skills or try something new! 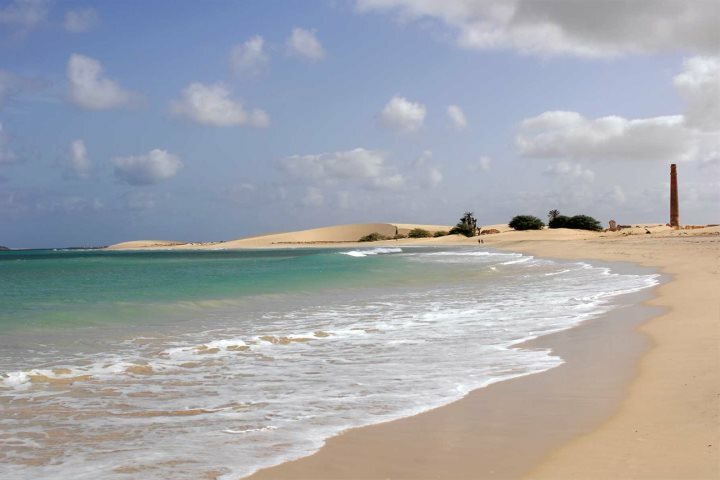 Boasting 5.6km of white sand backed by rolling sand dunes, it’s fair to say that Praia de Chaves on Boa Vista’s western coast is a total beach lover’s paradise. There are a couple of hotels which flank the beach, such as the Iberostar, but not much else, so if you love to embark on romantic strolls at sunset and feel like you’re lost on a desert island, this one’s for you. With just an endless expanse of golden sand, pushed into fingerprint-like patterns by the wind, Santa Monica is impressive to say the least. It can be found in the south-west of the island, stretching 9km. 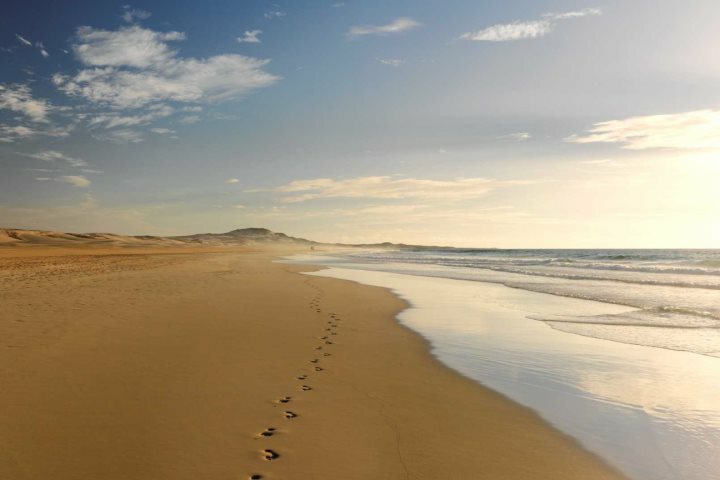 Ideal for long walks or even runs, you’ve got the blue of the ocean on one side, and the barren, brown, rugged landscape of Boa Vista Island on the other. 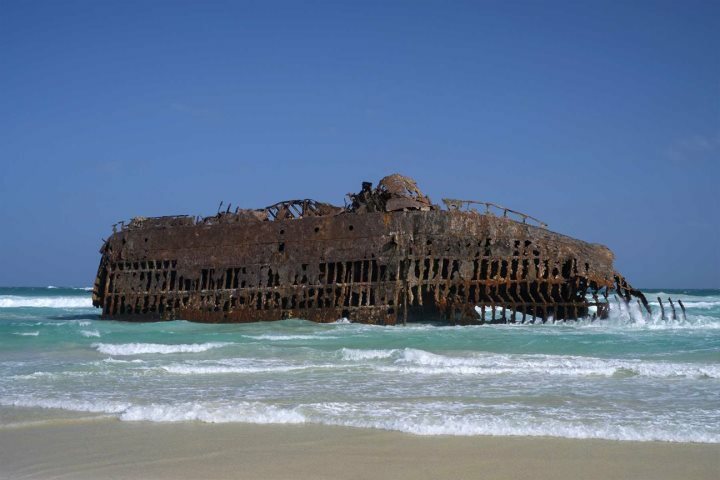 Highly recommended as part of a day trip exploring the island, Praia de Atalanta is where you’ll discover the Cabo Santa Maria Shipwreck. Having ran aground in 1968, this old Spanish cargo ship is now nothing but an empty, rusting shell, standing magnificently along the coastline. Although not a beach for sunbathing, it’s still blessed by soft white sand and is home to plenty of little crabs, which scuttle around in the shallows. 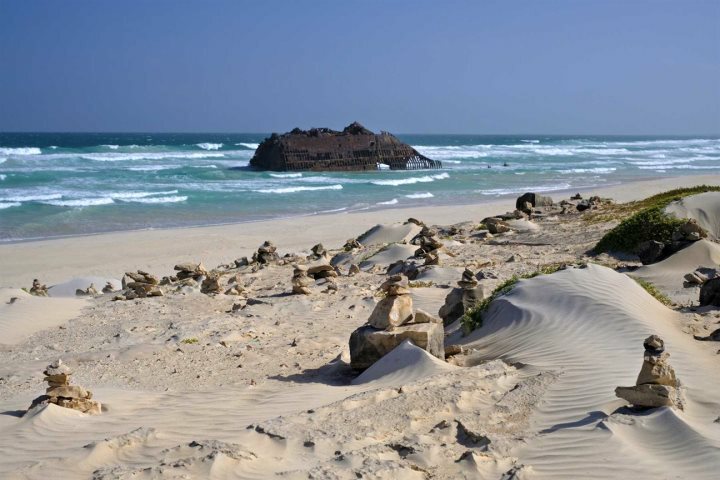 If you’re tempted by a beach holiday to Sal or Boa Vista, or perhaps even both, check out our Beach Holiday Ideas.